Candidates no longer blindly apply to companies without first doing some research. Before or during the application process, candidates are interested in learning more about a company’s mission, culture, office space, perks and benefits, etc., and social media makes it much easier to do that without having to step one foot in the door. In fact, 94 percent of all working Americans surveyed would visit a company’s social media page when searching for a job. Further, 57 percent of job seekers said that they used social media at least once a month to learn more about potential employers. By viewing a company’s social media account, candidates can gauge to see if the company is a good fit for them. However, this isn’t always the case because some companies may not prioritize or represent themselves well on social media. There are a few social media recruitment strategies your company can utilize to increase your business’ appeal to attract candidates, if you are not already. With that in mind, you must consider candidates as your consumers. You have full control of how you want to portray your company on social media to attract both active and passive job seekers. Here’s how to put your best foot forward and interest as many candidates as possible. 1. Review your corporate social media habits. Do some research to find out how your company is already using social media platforms and the goals behind it. How many social media platforms does your organization currently utilize, and which ones? What types of content are you sharing? Do you feel confident that if a job seeker randomly stumbled upon your company’s Instagram page, for example, that they would feel enticed to work for your company? To attract candidates using social media, you could share a photo on Facebook or Instagram of a great team accomplishment and how it was recognized. This shows candidates that your organization is committed to its employees. 2. Establish your company brand on social media. Evaluate how you can feature your company culture and brand on social media. What unique company perks or benefits stand out about your company that you can post about? To help figure out how you want your company to be represented on social media, look at similar companies that you admire. What are some things that they do that you could adopt? Applicants are interested in learning about the types of people that they would potentially work with at companies when they do their research. When it comes to social media captions, the less complex, the better. Some companies fall into the trap of continuing their corporate messaging on social media, where it may not resonate with the audience. When creating content to post on social media, remember who is using these social platforms and what they are used for. If you come across as too formal on social media, you may lose interest of potential applicants. 4. Appeal to the candidates you want to attract. The image you portray on social media will impact who wants to apply for your company. Social media is used when people want to connect with a person, people or a feeling. A great way to get people excited about your company is through showing what makes your company a unique and exciting place to work. Don’t be afraid to advertise for open positions on social media in an engaging way. This may bring awareness to potential applicants who may not even be actively looking for a job, but are interested in connecting with your company for the future. Company social media accounts provide candidates with a glimpse into a company’s culture, employees, company morale and unique offerings. These factors help candidates determine whether that company is a good place to work. 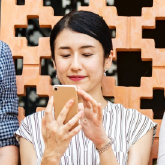 Amp up your social recruitment efforts with a solution that makes it easy to cultivate a social media presence and connect with more job seekers. With iCIMS Recruit, social media recruiting can be your sourcing powerhouse.